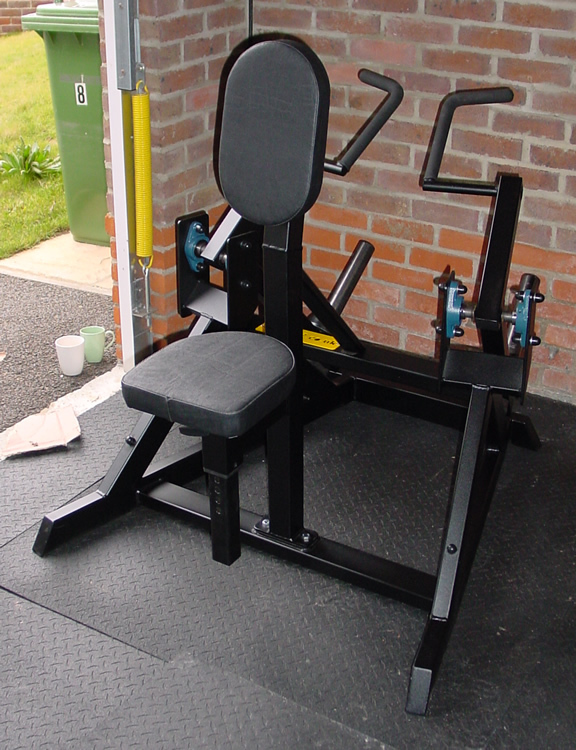 Heavy, heavy duty Iso Lat Row Machine. The upholstery's thick and durable and framework's constructed from heavy gauge steel. GymRatZ Iso Lat Row is a great way to really hit your back muscles hard. The movement's extremely comfortable and the multi-angle handles means you can vary your row style. Dimensions (mm): 1050 L; 900 W; 1200 H.